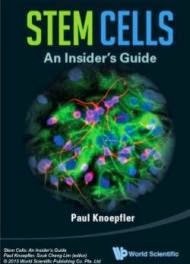 International Stem Cell Corporation (ISCO), a California-based biotechnology company developing stem cell-based therapies and biomedical products announced today that it has completed manufacturing of the cell bank of clinical-grade human neural stem cells using its patented process for the recently announced phase 1/2a clinical trial in Parkinson's disease. "Completing the production of clinical-grade cells using the previously published protocol is one of the final steps before starting our clinical program. Because of the complexity involved in manufacturing live human cell products, having our own GMP facility is not only a strategic advantage, but also allows us to control the production costs. We continue to anticipate, subject to regulatory agency approval, beginning the clinical trial in early 2015 and will provide a further update in the near future." said Ruslan Semechkin, Ph.D., ISCO's Chief Scientific Officer. 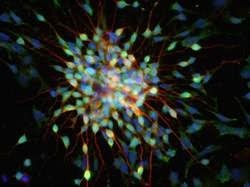 ISCO's master cell bank of human parthenogenetic neural stem cells (ISC-hpNSC) is produced in compliance with current good manufacturing practices (cGMPs) and the chemistry and manufacturing controls (CMC) discussed in the previously reported pre-IND meeting with the FDA. The cells are karyotypically normal hpNSCs and free of measurable contaminants of human or animal origin.